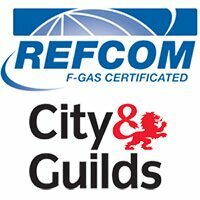 Do you need Air Conditioning and Refrigeration installation, maintenance or repair? BC Cooling have an experienced team of engineers which are fully qualified and have years of experience to help you with the service you require. It is also easy to get a quick initial air conditioning or refrigeration quote from BC Cooling. Fill in the form below and we will get back to you as soon as we can. If you prefer you can contact us via the telephone or email, details can be found how on our contact form here. Please try to fill in as many details as possible on the form below so we can get an accurate quote to you. If you need clarification on how to fill in the form below please do not hesitate to give us a ring. We are here to help you the best we can and provide a high level of service.